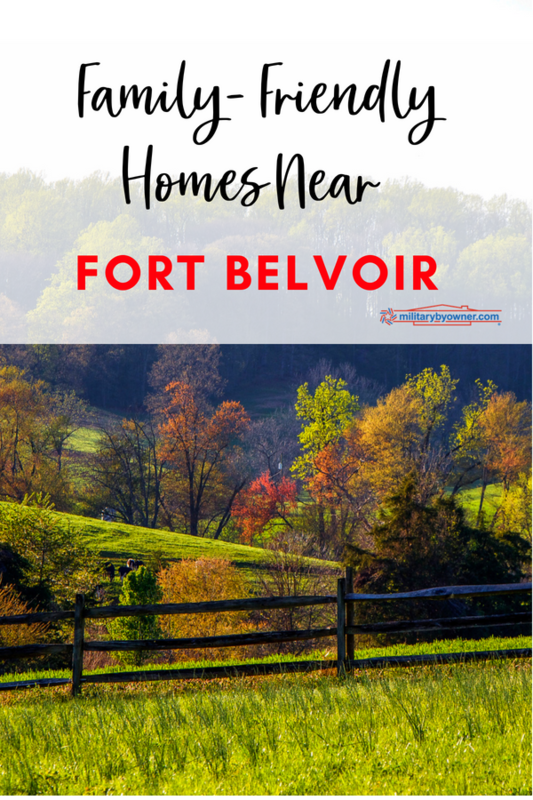 If you’re moving to the areas that are near Fort Belvoir, Virginia, you probably think you have to sacrifice square footage to find a home that’s in your price range. This isn’t true. Head further south and you’ll be in good company of military members who prefer homes with larger yards and plenty of living space inside. 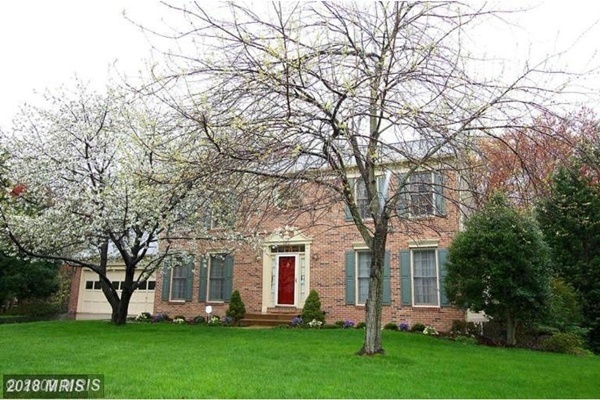 MilitaryByOwner’s Homes of the Week are in the cities of Stafford and Woodbridge, Virginia. Renting a home in a city that is conducive to military life isn’t always an option. Location is an important component for a high quality of life, and living in a well-established and sought-after property in Old Bridge Estates is an excellent start to a new life in Woodbridge. Finding a home like this one to call yours for a while is a great opportunity. The owners are offering the amenities most renters are looking for like hardwood flooring, Corian counter tops, and a kitchen island. And, they’re offering other comforts beyond the traditional standards such as two fireplaces, luxury master bathroom, and a finished walkout basement with a full bathroom. Five bedrooms are hard to come by, especially in a rental home, but there’s room for everyone here. A dedicated storage area in the basement means none of the bonus living space has to be used for unsightly and non-regularly used items. Wow! If space is what your family needs, then you should be well served within this 3,800-square-foot property that has a finished basement with a full bathroom and dedicated workout room. There’s plenty of storage, including built-in shelving. The basement is an optimal flex room that could serve a number of purposes, such as a guest suite, entertainment zone, or the perfect play room for multiple children. The enviable backyard is well maintained and has plenty of shade for outdoor gatherings. Prepare barbeques on the deck or sip cold drinks on the brick walk-out patio below. Safety and privacy aren’t concerns, thanks to the 6-foot privacy fence that surrounds the yard. Still on the hunt for more storage? You’re in luck, because the oversized two-car garage is available to house your most important items. Adding to the list of extras this home has is the location on a cul-de-sac, which means little traffic and more space for kids to ride bikes and play. Did your PCS not go as planned this summer, leaving you little time to house hunt and decorate your home? Don’t worry; this home has everything you need and want to move in and start enjoying your new duty station. The walls are painted with on trend colors neutral enough to easily add in your own furniture, and the natural lighting inside is beyond ideal. The finishing touches inside elevate the home’s charm to the next level. Decorative moldings, hardwood floors, and a beautifully surrounded fireplace really set the home apart from others for sale. An often-requested white kitchen is outfitted with granite tops and stainless appliances. 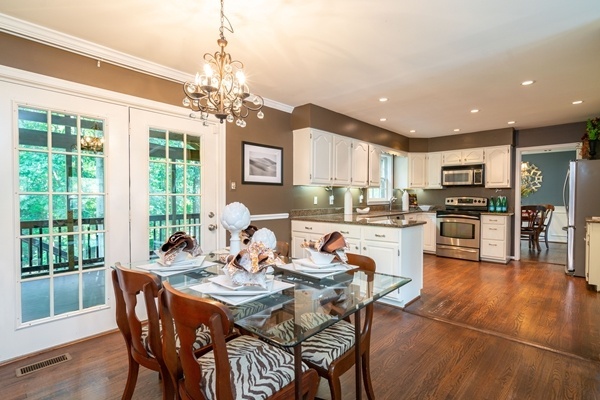 A perfect eat -n area is adjacent to French doors leading to entertaining space on the deck outside. The extra space you’re looking for is located in the basement, where you can take advantage of both carpeted and wooden floors to design two separate spaces exactly to your liking. 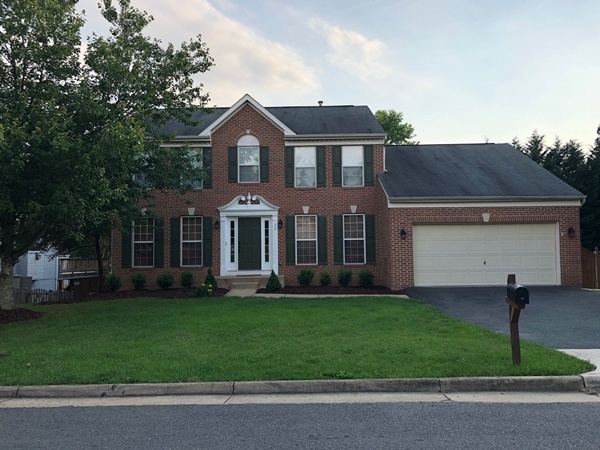 Woodbridge and Stafford are great places to start looking for a home if you’d like some breathing room while stationed at Fort Belvoir. But, don’t count out the nearby cities of Fredericksburg and Dumfries, because they’ll also have options if you’d like to make your dollar go farther in Northern Virginia.